General veterinary practices looking to add services might do well to consider animal rehabilitation. Janet Van Dyke, DVM, CCRT, DACVSMR, agrees. 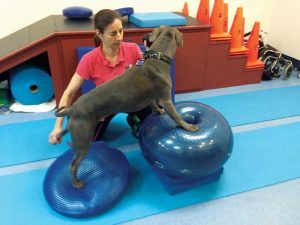 She is chief executive officer of Canine Rehabilitation Institute (CRI) in Wellington, Fla. CRI offers veterinary and physical therapy professionals training, certification, and continuing education in canine rehabilitation. She founded the organization in 2002 after practicing orthopedics and sports medicine. “There is a client-driven demand for rehabilitation services,” Dr. Van Dyke said. “This is not unlike what we observed with veterinary acupuncture in the 1980s, when client demand drove the industry. “People are increasingly aware of the options for rehabilitation services, and are choosing their veterinary service providers based on the availability of rehabilitation,” Van Dyke said. 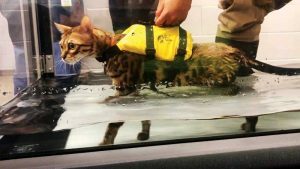 Still, there are great swaths of the country where awareness of the availability of animal rehabilitation is minimal at best, Dr. Downing noted. “As is often the case with advancements in veterinary medicine, it is veterinarians who must be the source of pet owner education about what the profession has to offer,” she said. “Rehabilitation is not yet a part of the curriculum in every veterinary school. That means many veterinarians come into the world of practice without knowledge about the importance of rehabilitation for recovery from orthopedic surgery, for strength building, for neuromuscular re-education, etc. General practitioners are increasingly recognizing the need to add this service, Van Dyke said. “They can’t open a journal or attend a veterinary continuing education meeting without seeing rehabilitation being presented,” she added. Caroline Goulard, DVM, CCRT, CVA, CVPP, works with a patient on proprioception at her rehabilitation center in Laguna Woods, Calif.
Caroline Goulard, DVM, CCRT, CVA, CVPP, owns Paws on the Go Center for Animal Physical Rehabilitation and Mobility Solutions in Laguna Woods, Calif. She agrees on the importance of education regarding rehabilitation. “My goal is to educate the veterinary community—specialists, surgeons, general practitioners,” she said. “Rehabilitation is much more than just applying a physical modality. Sometimes people will think, ‘My dog is weak,’ but when examined, the dog is painful. Pain must be dealt with before strength can be addressed. One challenge, she said, is that many surgeons still do not routinely refer their clients to qualified rehabilitation practitioners once they complete their surgical interventions. “It is ironic the majority of the first wave of veterinarians who qualified for diplomate status in the American College of Veterinary Sports Medicine and Rehabilitation (ACVSMR) were board-certified veterinary surgeons,” Downing said. Both Downing and Van Dyke are diplomates of the ACVSMR. Fewer than 200 veterinarians have earned that title. Additionally, Downing is a diplomate of the American Academy of Pain Medicine (AAPM), the third veterinarian in the world to achieve that status in the physician organization, and a certified canine rehabilitation practitioner. Long a proponent of multimodal animal pain treatments, she is a founder of the International Veterinary Academy of Pain Management (IVAPM). Van Dyke encourages general practitioners to consider branching out. “Rehabilitation techniques can certainly be employed in any general practice,” she said. “One misconception in the industry is that ‘physical rehabilitation’ is the application of laser and underwater treadmill to all patients. In reality, human physical therapy involves primarily manual therapies. This is how we teach canine rehabilitation at CRI. A well-run rehabilitation service can help a practice grow, she said. “The profit margins will not be as high as a referral surgical service can generate. However, as clients become increasingly aware of this option, they are electing to bypass those practices offering surgery without rehabilitation,” Van Dyke explained. What makes a veterinary rehabilitation service profitable? “The key here is in having well-trained staff,” Van Dyke said. “For each full-time-equivalent, rehabilitation-trained veterinarian, there should be three rehabilitation-trained veterinary nurses. This allows the veterinarian to be most efficient, focusing on evaluating the patients and development treatment plans, then handing them to their nurses to carry out the prescribed therapies,” she said. “This is not a field that should be left entirely to the nurses, as it is beyond the scope of their licenses to assess patients and develop therapeutic plans. What rehabilitation methods are available? Downing said rehabilitation methods for pets that can and should be incorporated into general or primary care practice include medical massage, photobiomodulation, acupressure, stretching and range of motion, heat therapy/moist heat, cold therapy, balance enhancement, therapeutic exercises, and hydrotherapy. This is definitely a growth area for practices, she said. “There are several excellent textbooks that can provide primary-care veterinarians with excellent guidance about what to do, how to do it, and under what circumstances for patients who can benefit from rehabilitation techniques,” she said. A number of professional veterinary organizations provide continuing education to practitioners and promote best practices in veterinary rehabilitation. 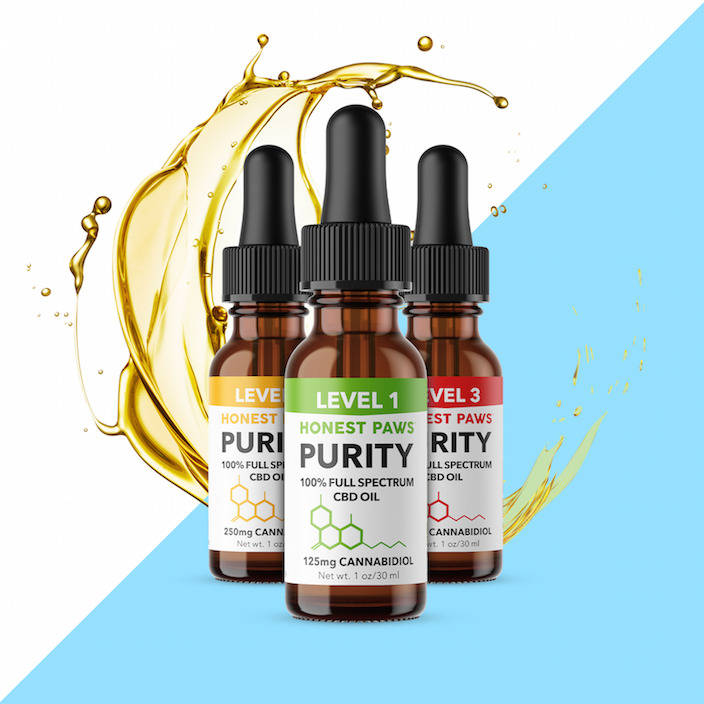 Some groups offer certification, as well. Rehabilitation seminars are often included under sports medicine and rehabilitation categories at national conferences, such as VMX (Jan. 19 to 23) in Orlando, Fla, and WVC (Feb. 17 to 20) in Las Vegas, Nev. The Symposium on Therapeutic Advances in Animal Rehabilitation (STAAR) will be held April 24 to 28, at Wyndham Hamilton Park Hotel and Conference Center in Florham Park, N.J.
• American Academy of Veterinary Acupuncture (AAVA); aava.org. • American Association of Rehabilitation Veterinarians (AARV); rehabvets.org. • American Canine Sports Medicine Association (ACSMA); acsma.org. 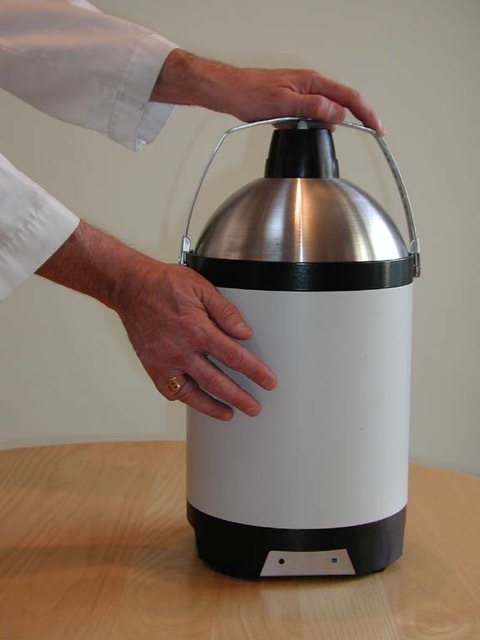 • American Institute of Medical Laser Applications (AIMLA); aimla.org. • Canine Rehabilitation Institute (CRI); caninerehabinstitute.com. • International Association for Veterinary Rehabilitation and Physical Therapy (IAVRPT); iavrpt.org. • International Veterinary Acupuncture Society (IVAS); ivas.org. • Veterinary Sports Medicine and Rehabilitation Institute (VSMRI); vsmri.com. While animals are often referred after orthopedic surgery to speed recovery, any dog or cat with the degenerative effects of osteoarthritis can benefit from these techniques. “In addition, neuromuscular degeneration can benefit from some of the rehabilitation techniques that we use with animals,” Downing said. Van Dyke said patients experiencing ortho or neuro impairments that are not surgical candidates also can be referred. 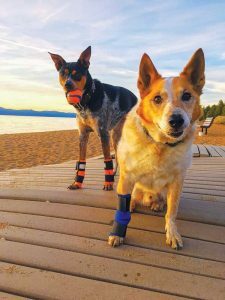 “There is growing demand for rehabilitation and sports medicine therapies for competitive canine athletes, as well as working dogs,” she said. Even without surgery or injury, some animals can still be good candidates for rehabilitation. “Rehabilitation-trained veterinarians can educate their clients on specific therapeutic exercise programs to prevent injuries, recondition post-injury, and to prepare an athlete for competition,” Van Dyke said. Downing said rehabilitation should be included in both short- and long-term management plans for amputees. “Rehabilitation in a facility combined with rehab homework can make a huge difference in these animals’ comfort, strength, function, and well-being,” she said. Dr. Goulard said tripods tend to break down faster than four-legged animals. 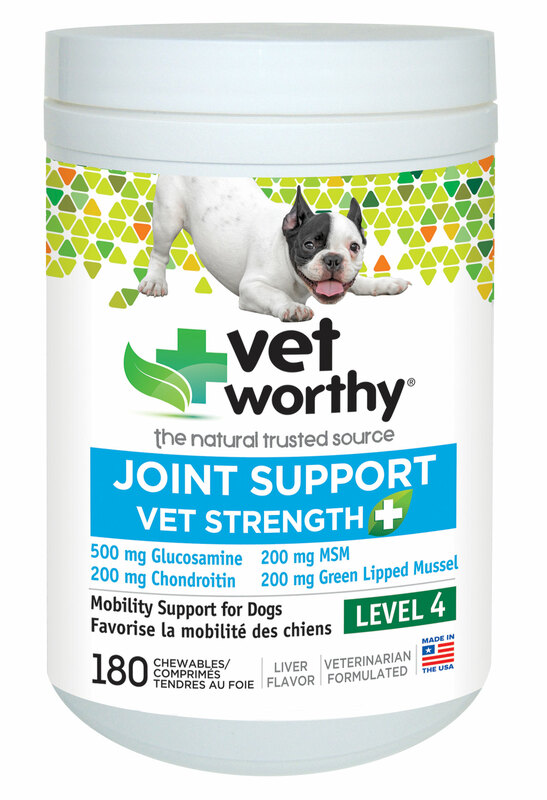 Their joints might weaken, and tendons and ligaments may be stressed. In addition, arthritis and joint instability can develop. “We can work on body balance, lots of core strength, and how to use their bodies as efficiently as possible,” she said. Surely Dr. Van Dyke is not suggesting that UK and Australian RVNs be recruited for veterinary rehabilitation as the North American support staff are legally recognized as RVNs, LVTs, CVTs or LVMTs.